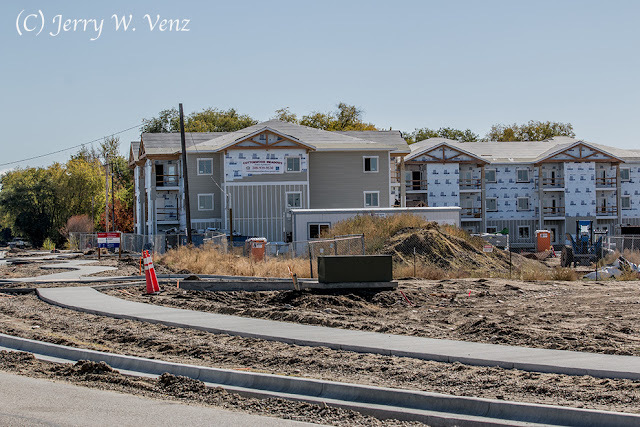 When we arrived here, in Meridian Idaho in 2009, nothing was being built in Ada County due to the recession. The tradesman we hired to build-out the retail space we leased for our new photography studio, The Storytellers, in Eagle were delighted for any work. What struck me the most when we got here was the refreshing mix of residential/commercial area with large tracts of farm or ranch land or open space with trees. It was fun to speculate what crop the various farmers had planted as they were beginning to sprout. The backyard at our home in Meridian backed up to a farm where there were always a few cows with their calfs grazing on the other side of our fence! At our studio in Eagle, there was a family farm right across the street on the corner of Edgewood and State Streets. We had a great view of it through our 12 foot picture window; the seasonal changes of that view, especially the fall colors and the winter snow, was delightful. 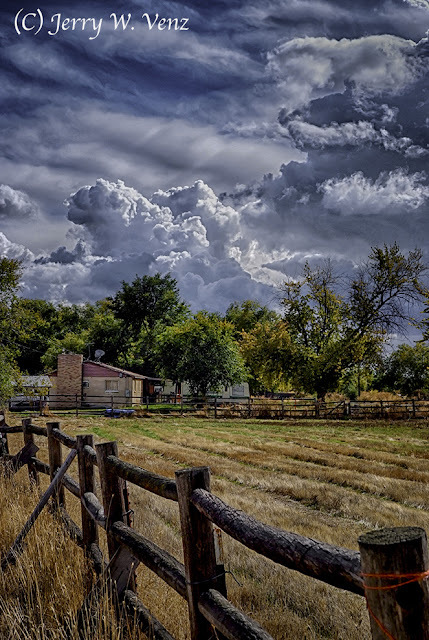 Whenever I saw good clouds in the sky and the light was good I would go across the street and photograph the farm as it changed with the seasons. This was one of my favorite views…. 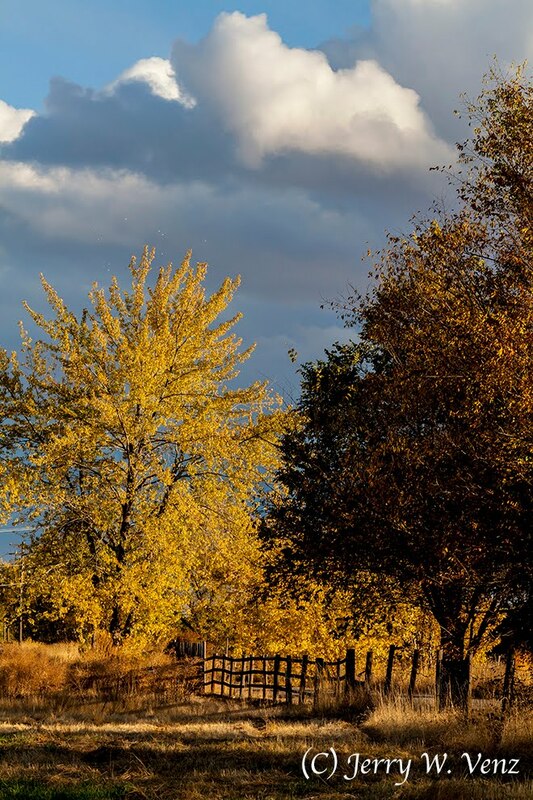 I really like these wood fences (typical here in Idaho) around the fields, and the small farm house with lots of trees; the dramatic Idaho sky helps, too. Here’s the other side of the farm…. This was done in late October about an hour before sunset. Love those trees and clouds. 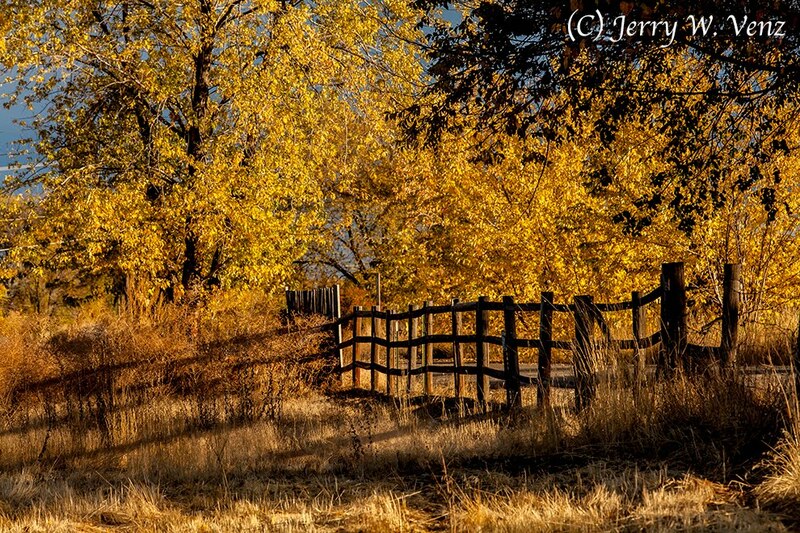 That fence needed to be highlighted…. So, I moved closer and zoomed-in (lens @ 200mm) to catch the marvelous shadows being cast by the fence onto the grass. I took this photo yesterday (10-14-17) from about the same vantage point as the first photo in this blog. Typically when they “develop” farm land here in Idaho they level the field taking out all the fences and structures; that’s how we’re loosing all the old barns in Idaho. But, I still don’t understand why they also take down ALL the trees on a property; all the trees in the second and third images are gone. Sadly, this is happening all over Ada County. Since 2014 housing development and now apartment complex builds have skyrocketed. In 2016 building permits in Ada County leapt to 6,276 from the 1,648 in 2011. Here in Meridian permits went from their low in 2010 of 506 to 1,662 in 2016! Now I know why they have reported that Meridian Idaho is one of the fastest growing cities in the USA. Big Whop! CREATE THE BEST FALL COLORS WITH BACKLIGHT!